We Are Santa Cruz Auto Body Repair Experts. Welcome to Kraft's Body Shop, where we do all types of collision and auto body shop repairs, utilizing state of the art tooling and repair equipment. 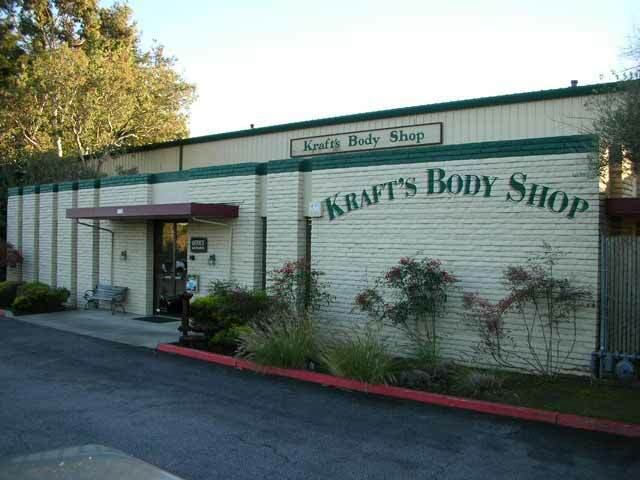 Of all the body shops in Santa Cruz, Kraft's has been locally and family owned for over 55 years. Feel free to come by and meet us, take the body shop tour, and ask questions. Your automobile is a big investment. It deserves to be repaired correctly. We offer a Lifetime Warranty for as long as you own your car. We stand by our repairs so that you don't have to worry about repairs going bad. We work with all major auto insurance companies and can assist you with your accident claim. We also work with Customers who are paying for repairs themselves. Every customer has different and unique needs. Kraft's has an experienced staff who can meet your specific repair needs. We offer free drive in estimates(by appointment), advice, customer shuttle services, and can arrange pick up and delivery. Kraft's Body Shop aims to exceed customers expectations. Our goal is to have satisfied customers who will recommend us as their Santa Cruz Body Shop to their friends and family. We Value our high CSI (Customer Service Index). Kraft's Body Shops goal is to earn your confidence as a Santa Cruz Auto Body Repair Customer for Life. Kraft's Body Shop located in Santa Cruz, CA on Northern California's Monterey Bay are repairers of all types of automobile collisions including auto body repair, car body dent repair and painting. Free estimates are given for all jobs.